Thirsty? | Lift Jesus' Cross! 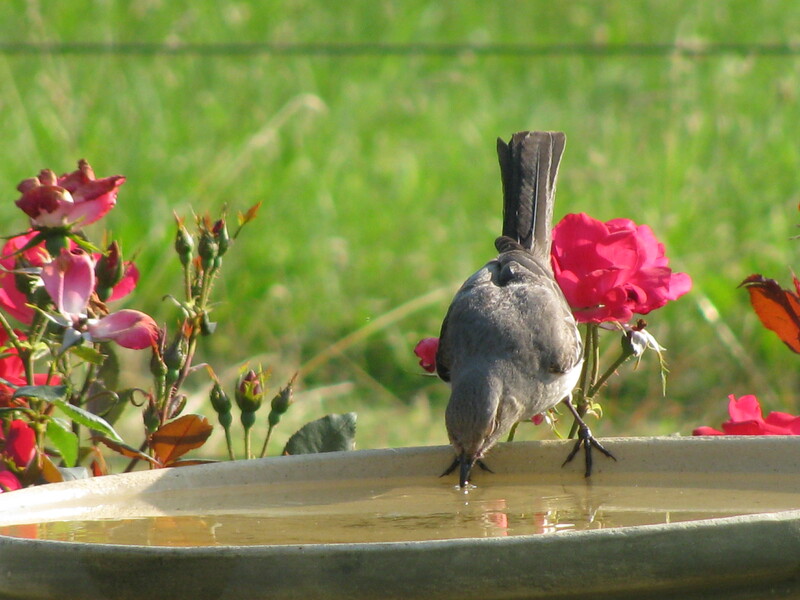 This entry was posted in Photos You Love and tagged Bible verse, bird, bird bath, photo, photography, picture, Psalm, roses, thirsty. Bookmark the permalink. Thanks, Larry! I just saw that you have a FREE book today on Amazon? Post a comment here that includes a link that people can cut and paste into their browser to get the book. For those of you who do not have an Ebook reader, you can sometimes save a free book into a PDF file onto your computer! Congratulations, Larry! Thanks, Anna! Spring is coming–time to grab my camera, Bible, and journal,and wait on the Lord. Love the Tree of Life in the spring!